3 games were created and incorporated into one package with a menu front end. The games share a base engine I created to handle all the physics, rendering and game logic for each game and each in-game object. At a basic level, the physics engine simulates simple Newtonian linear motion. It also handles collision detection and resolution, with simple elastic collisions modelled. 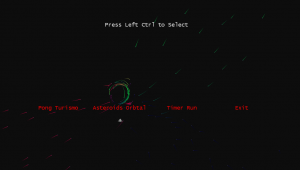 The game engine can also handle gravitational simulation and particles, both of which are demonstrated on the front end menu screen. The sounds and music use a wrapper class I created to use XNA’s in built audio handling. 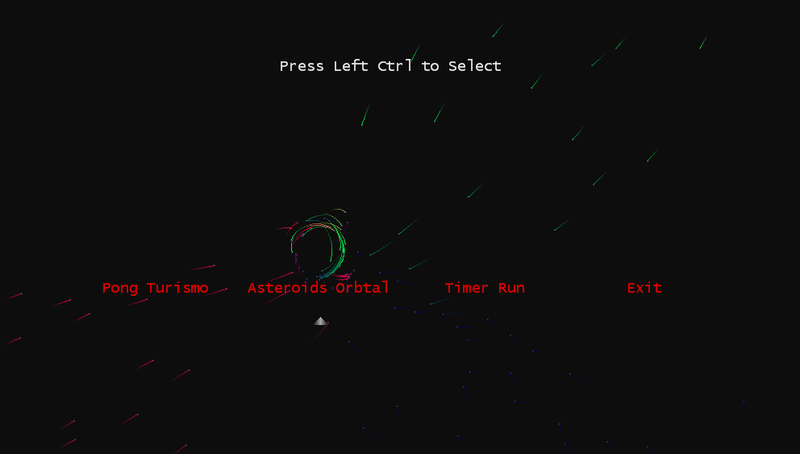 You can see the individual games in the other posts: Pong Turismo, Asteroids Orbital and Timer Run.